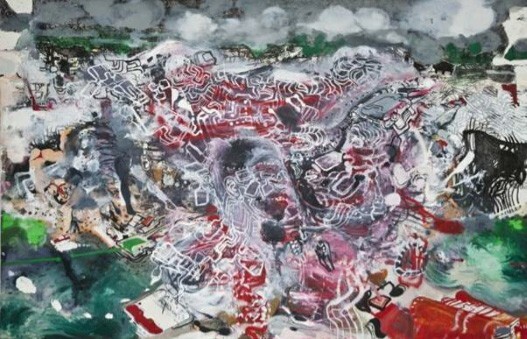 Saatchi Galley presents Bogdan Lascar's solo exhibition NEURO-EPICS. Lascăr's artistic evolution has been influenced greatly by the Romanian revolution of 1989, when the dictator Nicolae Ceaucescu was toppled, ending 42 years of Communist rule. The revolutionary fervour that erupted on to the streets of towns and cities all over Romania, and which Lascăr experienced himself as an impressionable youngster, has informed his art in a very abstract, visual way. Bogdan Lascar is a recipient of the UNESCO Gold Medal for outstanding contribution towards advancing the arts. Lascar’s work is held in numerous public and private collections internationally including the Museum of Art, Constanta, Romania and the National Museum of Contemporary Art, Bucharest, Romania.